Pacific rhodendron (Rhododendron macrophyllum), Washington’s state flower, grows throughout western Washington, and flourishes in abundance especially along the Hood Canal and in Kitsap County on the west side of Puget Sound. Flamboyant pink blossoms herald the onset of May in the Puget lowlands. 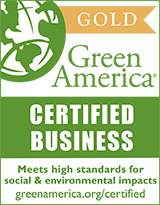 Pacific rhododendron compares favorably to the hundreds of hybrids offered by retail garden centers. Large flowers, bright glossy foliage, and an open branching pattern make a strong visual statement. This shrub grows somewhat slowly but it can easily attain heights in excess of 20′. Tolerant of full shade to full sun, this native rhododendron tends to develop a smaller, more compact form when planted out in the open. 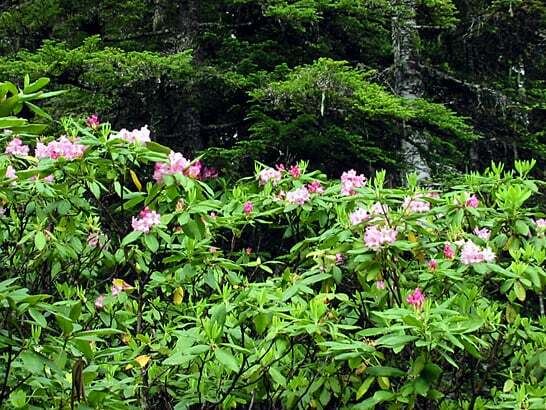 Along the margins of the forest understory, Pacific rhodendron may form a jungle of twisted branches. 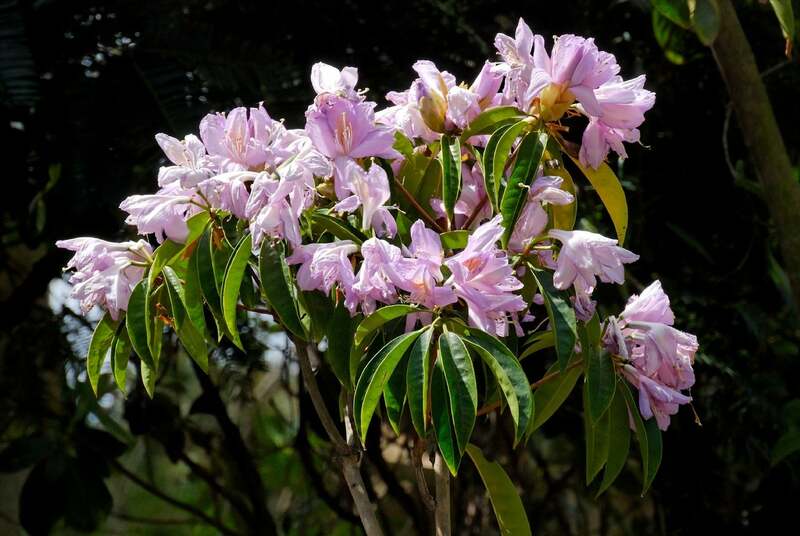 Preferring medium to dry, well-drained soil, over-watering can kill Pacific rhododendron, but benign neglect will make it thrive, and it tolerates droughts well. The pink flowers vary in hue from quite pale to brightly saturated tones, so shop for Pacific rhododendron during flowering season, if possible. © 2019 Sound Native Plants. All Rights Reserved.